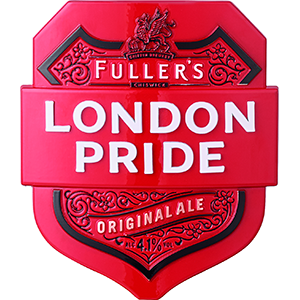 London Pride is the flagship beer of Fuller’s Brewery. It is the UK’s best-selling cask-conditioned ale, and is also sold worldwide in bottled form. London Pride has been brewed beside the River Thames at the Griffin Brewery since the 1950s.